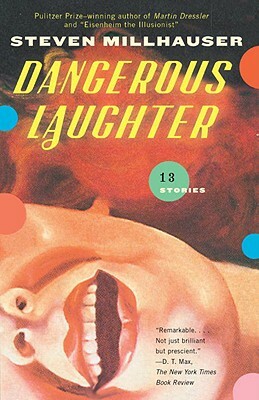 Thirteen darkly comic stories, Dangerous Laughter is a mesmerizing journey that stretches the boundaries of the ordinary world. Steven Millhauser's first novel, Edwin Mullhouse: The Life and Death of an American Writer, was published in 1972 and several years later received the Prix Médicis Étranger in France. Since then he has published nine works of fiction, among them several collections of stories and novellas, as well as the novel Martin Dressler: The Tale of an American Dreamer, which won the Pulitzer Prize in 1997. He is also a recipient of the Lannan Award and has been honored by the American Academy of Arts and Letters. His story "Eisenheim the Illusionist," from The Barnum Museum, was the basis of the film The Illusionist (2006), starring Edward Norton and Paul Giamatti. Millhauser's work has been translated into fourteen languages. He is a Professor of English at Skidmore College, and lives in Saratoga Springs, New York. “Reviewers use words like enchantment recklessly, as though it happens to us all the time. Book reviewers are especially prone to describing books as ‘enchanting,’ pretending that a spell has actually been cast over us. If only it were so. As often as not, it is a spell of boredom. Steven Millhauser’s books are the exception. . . .